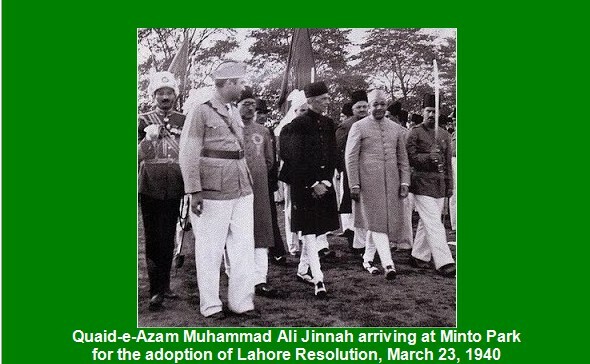 The day of 23 March 1940, brought the happy news not only for the Muslims of sub-continent but the whole world as all Islamic countries have to look towards Pakistan for the decisions regarding political and stability issues. Pakistan; who has no existence before 14 August 1947, no one has ever imagined that sub-continent would disintegrate and such a country will come into existence who will represent the whole Islamic world in the future. This is a miracle of the era whose concept was given by Allama Muhammad Iqbal and The Great Leader Muhammad Ali Jinnah fulfilled this dream. Jinnah not only convinced English but Hindu leaders of Hindustan as well that Muslims have a separate identity due to difference not only in their traditions and food but difference of beliefs as well. This was the achievement of Jinnah’s intelligence and wisdom that even Jawahar Lal Nehru having extremist views was unable to negate the arguments of Jinnah and The Two Nations Theory. 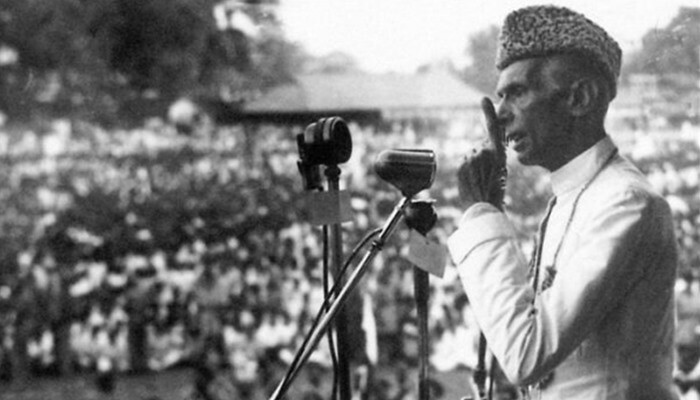 Why Jinnah wanted a separate country for Muslims of sub-continent? The answer to this question was given to those who were against Pakistan (including Hindus and Muslims) on 30th January 1948 when Nathu Ram an extremist Hindu, killed Mahatma Gandhi a Hindu leader in New Delhi. He was angry over Gandhi that in spite of creating hurdles in the creation of Pakistan, Gandhi accepted Two Nations Theory. 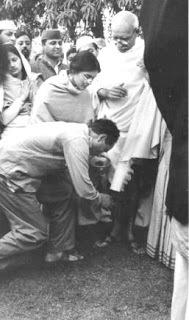 By accepting the Two Nations Theory, Gandhi wasted the chance for Hindus to take revenge of 1000 years of slavery from Muslims. 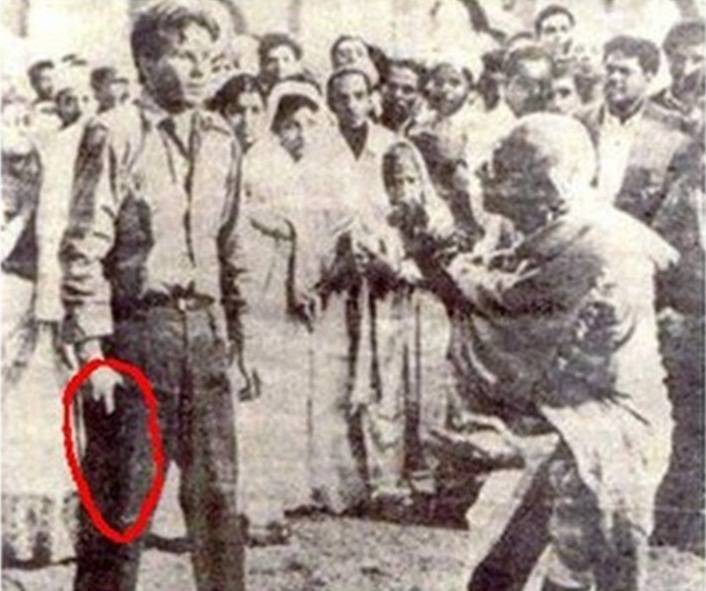 When Nathu Ram fired bullets on Gandhi from a distance of 4 feet, the military guards and Police present at the scene might have stopped him from firing but no one did so. At least Vice Counselor Herber Reiner Jr. from US Embassy, stepped ahead and unarmed Nathu Ram and handed him over to military guards. 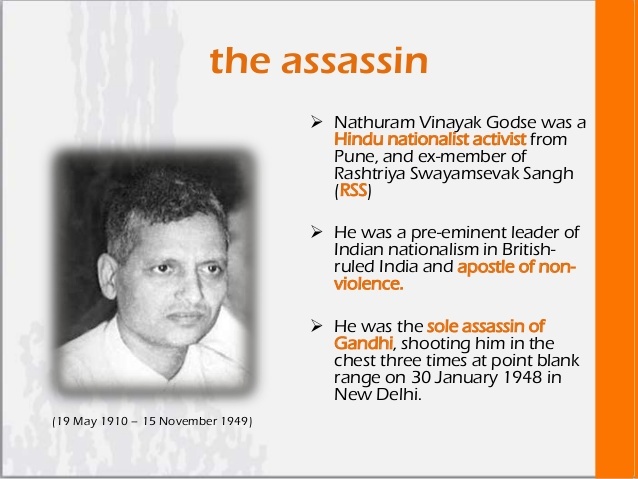 In order to minimize the reaction of public over the assassination of Gandhi, Indian govt. temporarily banned Rashtriya Sewak Singh (RSS) and its sister extremist agencies; this was termed as a political point scoring by Jawahar Laal Nehru and other leaders in the name of Secularism. As an eye witness of assassination and daring to control an armed assassin has increased the importance of Herbert Jr. 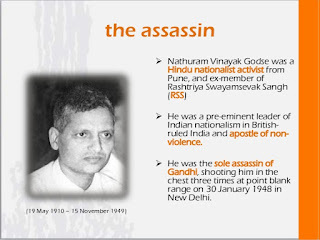 Moreover, as a diplomat he was well aware of the emotions of common Hindus. In his interview he acknowledged that influential groups of Hindus are inclined towards religious extremism who have negative thinking regarding not only Muslims or minorities but lower caste Hindus as well. In the other words American diplomat acknowledged the Two Nations Theory. 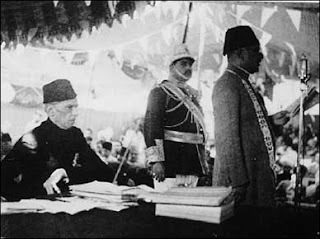 When Resolution for a separate homeland for Muslims of India was approved on 23 March 1940, no one has expected that this resolution would turn into reality within few years and stand in front of Hindustan with such zeal that Hindustan would be powerless. What could be the helplessness of India that on the birth of Pakistan does not have any resources, buildings for offices, few educational institutions, hospitals, medical colleges and universities, although army was present but without weapons. The funds and weapons were not divided appropriately. Keeping in view these weaknesses of Pakistan, after few weeks of independence, Hindu leadership invaded Jammu and Kashmir. 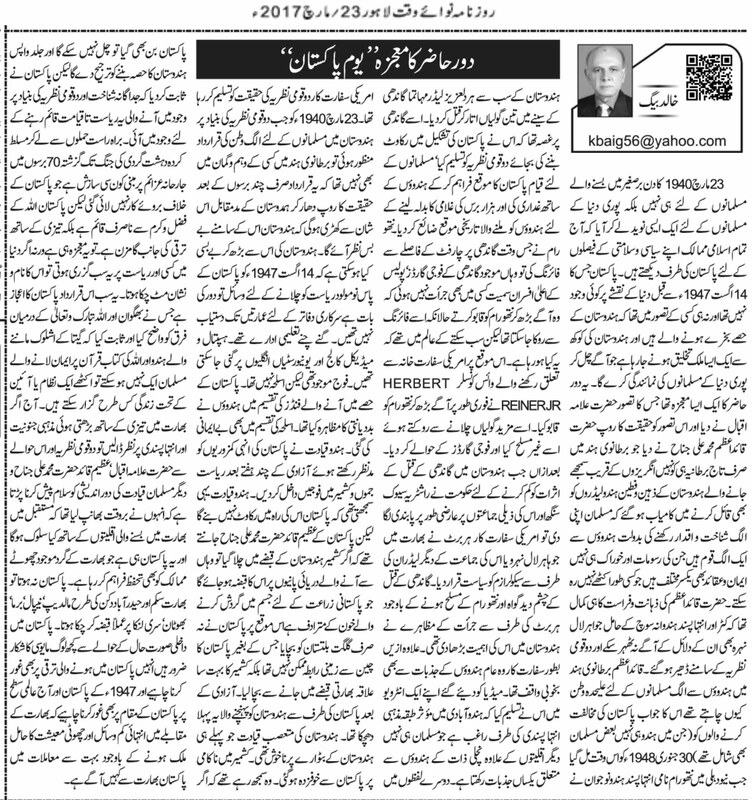 They were of the view that Pakistan will not be able to resist against this invasion. Jinnah was aware that if Kashmir falls in the hands of India, India will also take control of the water of the rivers as well which is the blood for Pakistani agriculture. In such a situation not only Pakistan saved Gilgit-Baltistan which connected Pakistan to China but also saved big part of Kashmir falling in the hands of India. This was the first blow for India from Pakistan after independence. Extremist Hindu leadership who was already displeased over the disintegration of Pakistan got afraid of Pakistan due to the fierce resistance of Pakistan and failure in Kashmir. They were of the view that although Pakistan has got separated from India but due to shortage of resources Pakistan will be forced to merge into India. But Pakistan proved that the state created on the basis of separate identity and Two Nations Theory has been created to survive till the Doomsday. From open invasion to armed interference India has left no stone unturned in the last 7 decades but Pakistan faced all these bravely by the grace of Allah and developing rapidly as well. This is nothing more than a miracle that a small state facing conspiracies and aggressions from multiple states not only exists but developing as well; if such conspiracies and aggressions have been done against some other state it would not have survived. This is due to the miracle of The Two Nations Theory which differentiated between Allah and Bhagwan and proved that the believers of Ashlok and Quran cannot be similar. If we look at the increasing Hindu extremism in the India; we have to salute thinking and foresightedness of Allama Muhammad Iqbal and Quad-e-Azam Muhammad Ali Jinnah who realized that what would happen to minorities in the coming future in the free United India. This is Pakistan which is acting as a protector for the smaller countries around India as well. Without Pakistan, India would have engulfed Nepal, Burma, Bhutan, Sri Lanka etc. just like Sikkim and Hyderabad Dakkan. Few elements in Pakistan are hopeless over the internal situation of Pakistan, they should also pay attention to the development in Pakistan as well. The comparison between the 1947’s and current Pakistan shows that although being a small state with less sources it is still ahead of India in many fields.